While tattoos were once considered permanent, it is now possible to remove them with treatments, fully or partially. Tattoo removal is most commonly performed using lasers that break down the ink particles in the tattoo. The broken-down ink is then fought off by the immune system, mimicking the natural fading that time or sun exposure would create. 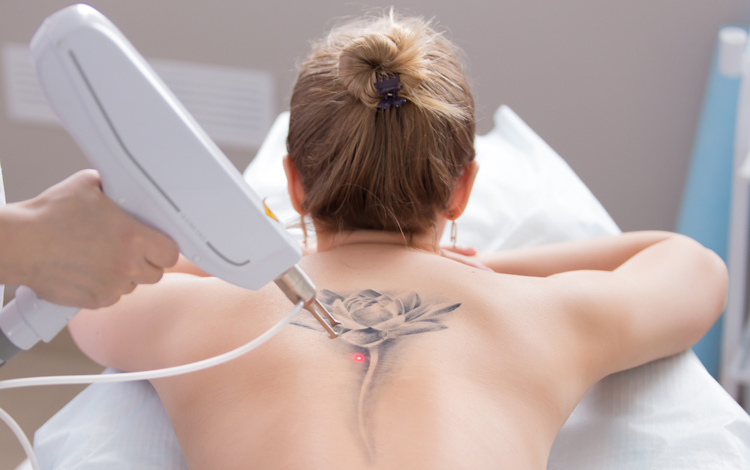 How many treatments would you need to remove a tattoo with laser? Treatments vary depending on the age, colour and type of the tattoo (amateur or professional). Eight to ten treatments may be necessary, although, the newer picosecond laser may halve the amount of treatments. colours may be stubborn to remove.